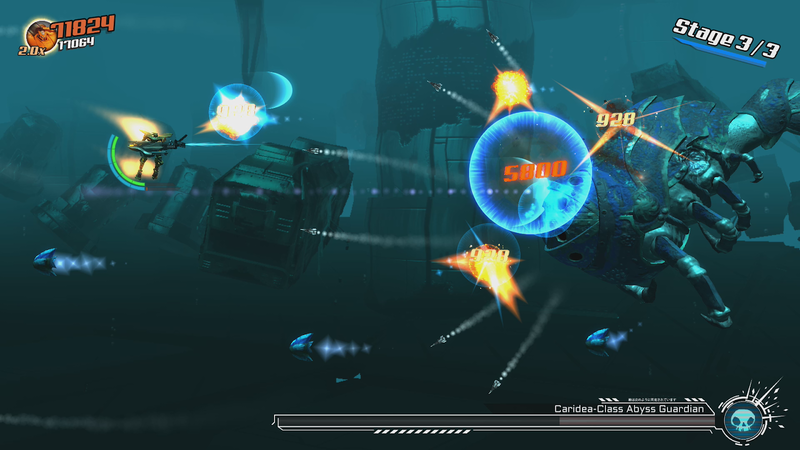 Being a pretty core genre it can be difficult to run into surprises when it comes to arcade shooters, though there are occasionally games that break the mold. Going back to Galaga there has been some precedent, throwing some things that were unexpected into the mix and helping to add to variety and excitement. Coming to the Switch pretty well unheralded Stardust Galaxy Warriors looked pretty cool in screen shots but it wasn’t until I played it that I got to understand how much it does differently, and has managed to nab a place in contention for the top spot among the best shooters on Switch both this year and in general. 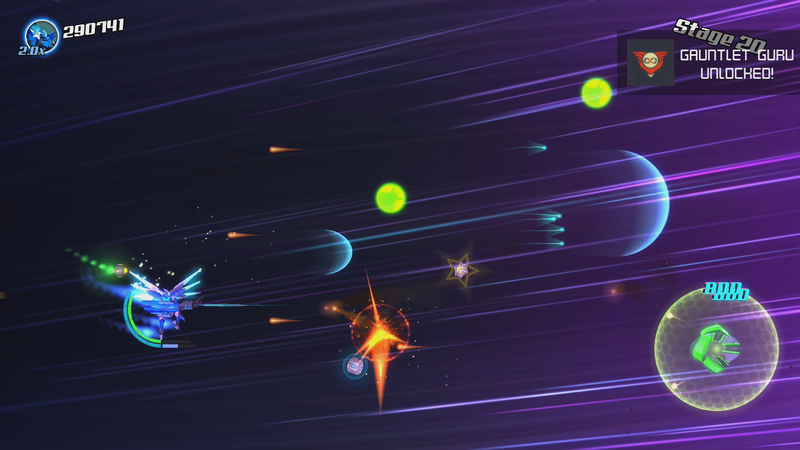 While I think most often people associate the shmup and bullet hell genres with vertical scrolling Stardust has opted for the classic side-scrolling style, which I’m fine with since these days gaming is done on a wider screen. The vertical look may be classic but that tends to lead to bars on either side, though the excellent Aces of the Luftwaffe Squadron does vertical in widescreen it’s not the norm. In this case with the variety of enemy types and pretty tough bosses you really end up needing the space at times, and if you pair up with up to 3 friends you’ll want every pixel of space you can get to help manage the abundant action. Whether you opt for the story-driven Campaign, the more classic arcade Gauntlet, the more exciting Strike, or the aptly-named Challenge mode you’ll be taking on the same pool of environments, enemy types, bosses, upgrades, and configuration choices, how you mix and match them to suit your tastes is a big part of what distinguishes Stardust from its competition. While you can play it more like a classic arcade shooter in Gauntlet mode even that features choice right at the beginning and it’s truly a game changer. First you’ll choose your base mech and that’s more than a matter of cosmetics since it will determine both your special move and and your distortion technique, which varying between very defensive and offensive capabilities. Next you’ll get to choose both your primary and secondary weapons and each class has access to the same wide variety of choices which range from spread to rapid-fire to even an up-close flamethrower in your primaries and then grenades, homing missiles, mutli-shot needles and more for secondary. This makes for a stunning number of potential base combinations that allow you to experiment and fine tune your loadout. The great news is that in most modes you can then make upgrades that extend that even further, being able to enhance your stats and even save up for additional ammo types and more. While you could choose to play it the same way each time variety here is truly the spice of life and you’ll find that especially in the Campaign mode or in the many Challenge scenarios it can pay to go for more focused fire in some cases and spread in others depending on the enemies you face. If you’re playing with friends you could all go a similar route or diversify fully, considering there’s even support for going melee-focused if you’re truly daring and more interested in utilizing your sword slash with regularity you could easily each fulfill a different role and clean up a bit. Stardust Galaxy Warriors describes itself as combining shmup and brawler gameplay elements and as unusual a claim as that may be on its face it’s oddly accurate. 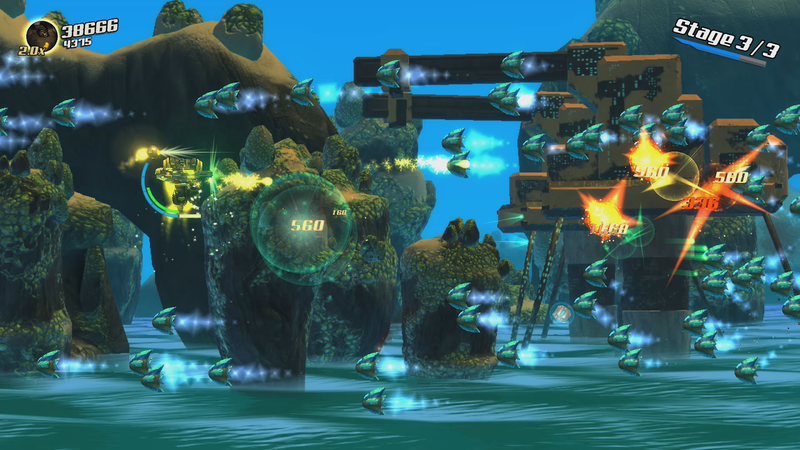 Between the way the waves of enemies progress and just the overall variety in what you’ll face this doesn’t have a an almost puzzle-like bullet hell feel, though especially in the Campaign’s latter stages you’ll be doing plenty of careful dodging if you expect to complete it. Instead, you’ll tend to open up with a number of waves of enemies (ones that vary wildly by stage, often requiring different approaches to take down), a mid phase where it’s not unusual to face some more formidable enemies, and then a third where you’ll face one of the game’s pretty diverse bosses. 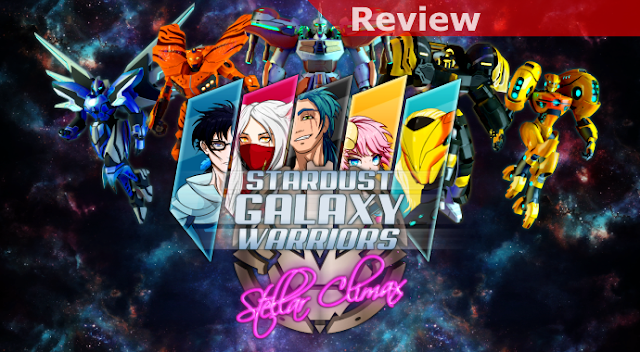 Overall, Stardust Galaxy Warriors is just a huge breath of fresh air and easily one of the top shooters on the system. If you’re looking for variety in your challenge, something you can enjoy with some friends, and an ability to configure both your challenges and your gear to suit your mood there’s really no better choice on the Switch. 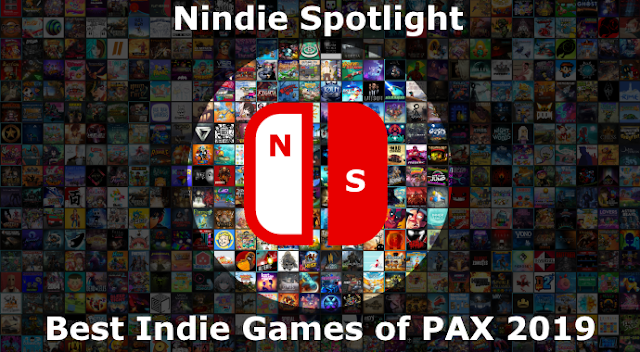 Perhaps side-scrolling isn’t normally your preference?